Chitthi na koi sandes, jaane wo kon sa desh, jaha tum chale gaye..
HomeART & CULTUREChitthi na koi sandes, jaane wo kon sa desh, jaha tum chale gaye..
Jagjit Singh, born as Jagmohan Singh Dhiman,(8 February 1941 – 10 October 2011), popularly known as " The Ghazal King ", was an iconic Indian Ghazal singer, composer and musician. 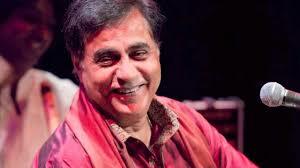 Singh is one of the most famous Ghazal singers of the modern times. In an era ,where the current generation is headed towards rock and hip hop music, it is refreshing to see them cherish Jagjit Singh ghazals as well. Born in Ganganagar, located in Rajasthan on 8th February, 1941, the name Jagjit means the one who triumphs over the world. His father Sardar Amar Singh Dhiman ,was a Government official and his mother Sardarni Bachchan Kaur had a religious family background. He has four sisters and two brothers. Though , this legendary personality is not between us today, but it would be a matter of happiness and pride to tell people about him. Newscrust brings you some known and unknown facts about his life, today on his birthday. Jagjit Singh studied at Khalsa High School located in Ganganagar. After completing his matriculation, he took up science. He graduated in Arts from DAV College located in Jalandhar and had a post graduate degree in history from Kurukshetra University, Haryana. His father wanted him to join the Indian Administrative Services. But when he saw his son achieving accolades in the world of music, he was more than happy. Journey of King of Ghazal. He moved to Bombay in the year 1965 ,searching for better luck in the field of music. Any budding artist faces initial struggles and tribulations ,before finally making an indelible mark in the industry. He got assignments that were limited to performing at wedding functions and singing jingles for advertisements. Around 1970's, the world of ghazals was dominated by renowned names like Noor Jehan, Malika Pukhraj, Begum Akhtar, Talat Mahmood and Mehdi Hassan. Jagjit Singh made the efforts to come with his first album titled "The Unforgettable", which was a collection of semi-classical Indian music. The different melody and freshness in Jagjit's voice appealed to all and he was recognized by the industry. Though he was scorned by many critics, it did not deter him from carving a nice for himself. the album sold numerous copies and was a hit with listeners. 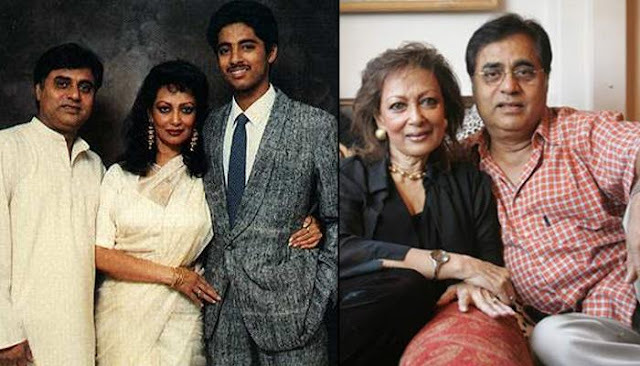 While Jagjit Singh was still doing jingles for advertisements during the initial years, he met another singer named Chitra. They got married after a two year long courtship in the year 1969. Together, they exemplified their first successful husband-wife singing team. They both produced numerous soulful and melodic Ghazals, which were enjoyed by a wider audience. Some of the popular albums of the couple were Ecstasies, A Sound Affair and Passions. They both had a kid named Vivek, who died in young age of 20s due to accident.Though, it was a very tragic incident,however, Jagjit Singh continued to sing and his songs have only gained more popularity with each passing day. His later albums named Hope, In Search, Insight, Mirage, Visions, Kahkashan , Love Is Blind, Chirag , etc. have made him the top Ghazal singer in the country and a favorite among fans. An album with Lata Mangeshkar named "Sajda" was a hit and sold innumerable copies. It was a classic Ghazal album. Jagjit Singh did not limit himself to just Hindi songs and has also sung many Punjabi songs. His bubbly and vibrant Punjabi songs are very popular and are very pleasant to hear. He is the only composer and singer, to have composed and recorded songs written by former Prime Minister of India Atal Bihari Vajpayee – also a poet – in two albums, Nayi Disha (1999) and Samvedna .He was awarded the Padma Bhushan by the government of India in 2003. He gained acclaim together with his wife, another renowned Indian ghazal singer Chitra Singh in the 1970s and 1980s. Their combination album comprising music from the films, Arth and Saath Saath is the HMV's largest selling combination album of all time.He sang in numerous languages. He sang in films such as Prem Geet (1981), Arth (1982) , and Saath Saath (1982), and TV serials Mirza Ghalib (1988) and Kahkashan (1991). Jagjit Singh is considered to be the most successful ghazal singer and composer of all time in terms of critical acclaim and commercial success. According to Google Search Trends, Jagjit Singh is people's first choice - both in India and abroad, when it came to songs, lyrics and mp3s of ghazals. Jagjit Singh has also sung many songs for Hindi movies. Popular films include Arth, Saath Saath, Premgeet, Tum Bin, Sarfarosh, Dushman and Tarkeeb. Jagjit Singh has proved himself as a genius ,as he brought out the true meaning of Mirza Ghalib's poetry, by singing them as melodious Ghazals. The album can be easily called as a masterpiece. His transition from the 90's, till date has been absolutely marvelous, as he has moved towards much more melodious and meaningful Ghazals. The quality of his voice has only become better. Besides movies, he has sung many devotional songs also that are very peaceful to hear. Jagjit Singh is any day the undisputed Ghazal artist in the modern times. 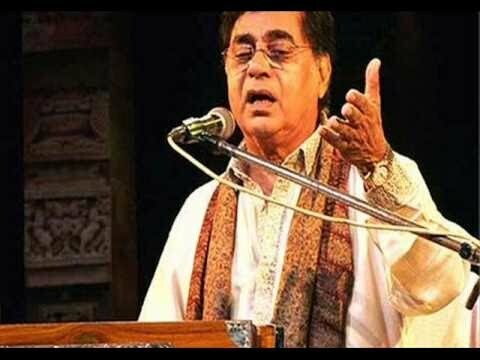 Ghazal king Jagjit Singh, the soul-stirring voice behind Hazaron khwaishe aisi, Ye kaghaz ki kashti and Jhuki jhuki si nazar, died this morning over a fortnight after he suffered brain haemorrhage. The 70-year-old singer, who along with his wife Chitra almost rediscovered the ghazal genre for common Indian in 70s and 80s, was admitted to the Lilavati hospital on September 23 and was in coma since then.